This time of year many of us are gearing up for recruitment of our new beginner musicians. Running recruitment can be time-consuming and a little overwhelming amidst everything else the busy director has to do. But of all the non-teaching responsibilities required of the band or orchestra director, recruitment is most worthy of every ounce of energy we put into it. Why? Because music has the power to transform students’ lives for the better. We owe it to our young people to make sure they have every opportunity to join the band or orchestra and learn to play an instrument. Before I share my suggestions for a making the process a success, I encourage you to not consider recruitment an event that happens on a specific day or during a specific week. It is a process: one that you should be engaged in throughout your school year, either directly through planning and scheduled activities, or indirectly through marketing of your program and working on retention of your current students. Starting with the date that students select courses for the upcoming school year, work backward to schedule your events for maximum impact. All schools are different in this regard. If you have a pull-out program, your timeline might look different than one where band and orchestra are regularly scheduled classes. I typically schedule instrument fittings a week or so before course selection so that the excitement level about learning an instrument is still high and fresh in everyone’s minds. Schedule any demonstration concerts and classroom visits just prior to your instrument fittings to drum up interest, and don’t forget to send information home to parents during this time. In addition, you may also want hold parent meetings or instrument rental nights around the same time, or shortly after the students have completed course requests. Most band and orchestra directors do a great job getting prospective students excited about instrumental music. It’s also important that you remember to recruit their parents. Don’t overlook the importance of also garnering support of administration, guidance counselors and anyone else who might have influence over students as they make the decision whether or not to begin playing an instrument. You will also need to form a plan for sharing information with your prospective students and their families. Promote your program to the public in a way makes families want their children to join. Depending on the method of communication and the specific audience, you may wish to include important dates and events, an overview of the enrollment process, benefits to joining, and any other information that you think is important. In order for your message to have maximum impact, tap into a variety of communication methods and be certain to adjust your message for specific audiences. When connecting with prospective students, your message needs to be engaging and kid-friendly. If you are able to present a demonstration concert, make sure that you choose music that is fun, familiar, and no more than a few minutes in length. A demonstration concert is also an opportunity to perform short, engaging excerpts on each of the instruments that you offer to your beginners. In addition to the concert, classroom visits and videos can also be effective. 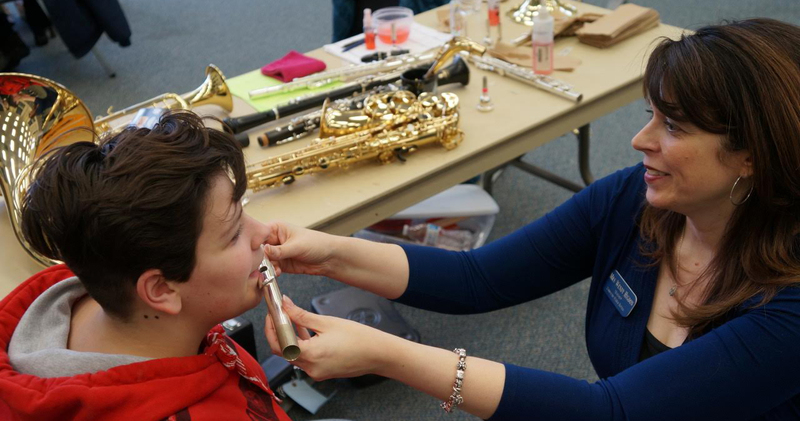 You also will want to plan time for your prospective students to get “hands-on” with the instruments. As you communicate with mom and dad, remember that they are busy and are often overwhelmed with all they have to do. Keep your message brief, clear, and consistent; and make sure to communicate more than once, in multiple formats. Email may work well for some families, while others appreciate a letter in the mail, a personal phone call, or just being able to browse a website or social media for information. Know your community and use those methods that have shown to be successful in your school district. It is also especially important to educate your administration, guidance counselors, and classroom teachers as to the value of your program. These people often have a lot of influence on whether or not students sign up for your program. Keep these important partners informed of the good that is happening in your instrumental music program and the benefits of joining. Administrators live in the world of data-driven decisions, so take advantage of that and provide hard numbers when speaking to them. Face-to-face meetings and invitations to your concerts and events are also crucial to developing these relationships. Preparing for your recruitment in an organized and methodical way may take a little more time at the outset, however, all that work can pay off with increased enrollment, informed families and stronger administrative support. Best wishes to you as you welcome a new group of students into the world of instrumental music! Wendy Higdon is the director of bands and unified arts department chair at Creekside Middle School in Carmel, IN. Under her direction, the Creekside Wind Symphony was honored to perform at The Midwest Clinic in December 2013. 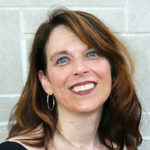 Wendy is also a writer and an active blogger on the subject of teaching band. She maintains an active schedule as a presenter, speaker, guest conductor and clinician around the country. Learn more on the On and Off the Podium website.